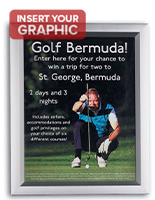 Our slide-in poster frame is quickly becoming a best seller. 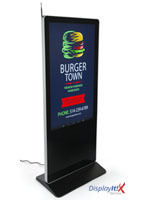 The display offers a new design look and a durable option to less expensive styles. 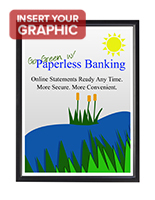 Features: a top quality metal frame border in a matte black finish, slim profile design, a backer that your graphic rests against inside of the frame, and a clear non-glare lens to cover/protect the insert. 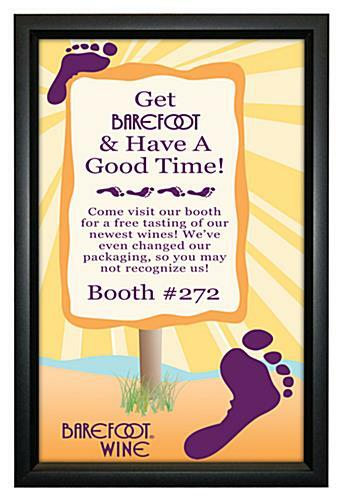 This slide in poster frame can be mounted vertically (for 11" wide by 17" high) inserts or horizontally (for landscape 17" wide by 11" high graphic). 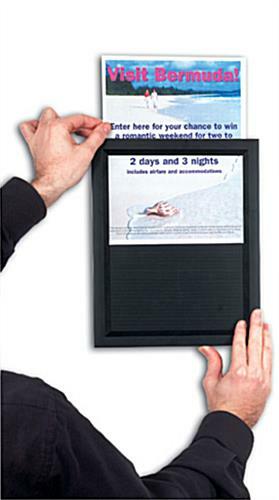 Your graphic is inserted from the top (or side) of this slide in poster frame by simply sliding out the backing and protective lens cover. The frame never has to leave the wall once it has been mounted! 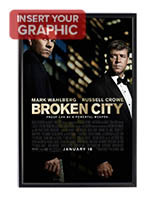 Please note: Allow for a .5" border around your entire graphic for the frame edges. This is the area where the frame border will cover the outside edges of your insert. Unit mounts easily to wall with 2 screws and 2 anchors (provided). 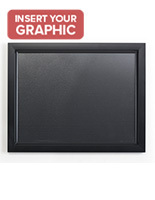 Wall mounting holes are concealed inside of the frame! 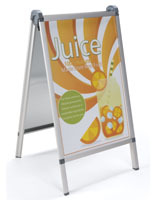 Remember, if you're considering ordering a large quantity of this slide in poster frame you can simply order one unit, try it, and experience our workmanship and service firsthand prior to larger order commitments. Please Note: Slide-In style frames are highly recommended. 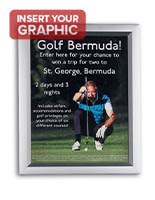 These frames are virtually tamper proof as they have a continuous uninterrupted border, yet changing graphics is easy. Great frame for our wall of fame! We installed 36 mountable 11x17 wall frames in the hallway behind the stage at our performing arts center. Each artist that visits signs their advertising poster & we display the entire 36-show series the following season. The engineering makes the process of swapping out 36 posters a pretty easy undertaking and the design makes for a clean & impressive display . Wow, this looks awesome, Rachel! Thanks so much for sharing this with us and taking the time to review. We hope you shop with us again soon! Great quality products. Very simple to use. I did not use the hardware it came with and instead used double sided mounting tape to preserve the walls :). Love them. Light weight and perfect for our use. So easy to install and balance with the screw holes showing when the insert is removed. 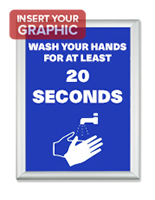 Once installed, the signs can be a little cumbersome to switch out: they get hung up on the top corners, so you have to work with them a bit to remove them. I would still purchase again. Overall, they are a really nice product. We received exactly what we ordered very timely and in perfect condition. The sign holders are fulfilling the purpose we needed them for exactly as we wanted. Hi Brenda, We're so glad to hear the sign holders are working out for you and that you were satisfied with your shopping experience. We hope to work with you again soon! The frames look great, we used mounting tape to put them up and that went smoothly. Very pleased with their appearance and how quickly our order arrived. Hi April, Thanks for letting us know your thoughts on the order! We're so glad to hear the product worked out for you. We hope you shop with us again soon.